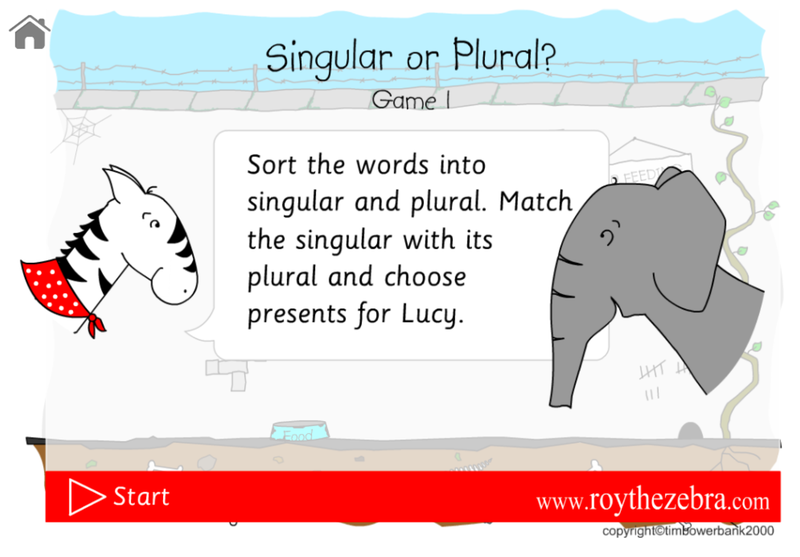 In this singular and plural reading game poor Lucy is still in the zoo! If you help her sort out her singular and plural words you’ll be able to give her some presents to cheer her up. Please register if you intend on using this game. Lucy wants to cheer up her cell at the zoo. If you can help her with her singular and plural words then you'll be able to give Lucy some presents - some toy blocks or maybe a ball or some wall paper to re-decorate. 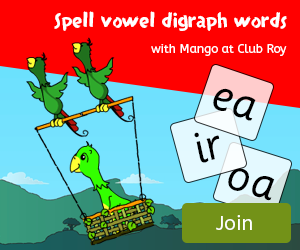 If you like this singular plural reading game then there are another four versions at Club Roy. Load the reading game then read the instructions on the introduction screen and click start. You'll find Lucy in her cell in the worst zoo in the world. 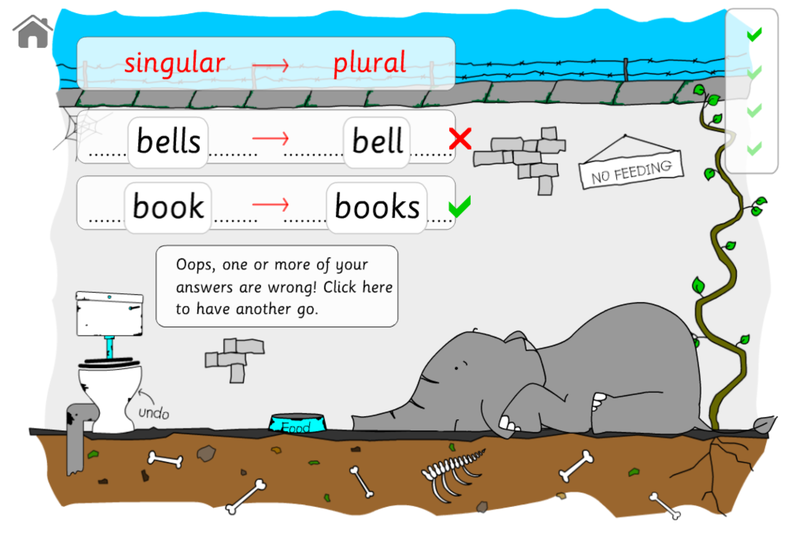 There are two singular words and two plural words at the bottom of the reading game, drag them up to the boxes so that the singular words are on the left and the plural words are on the right. 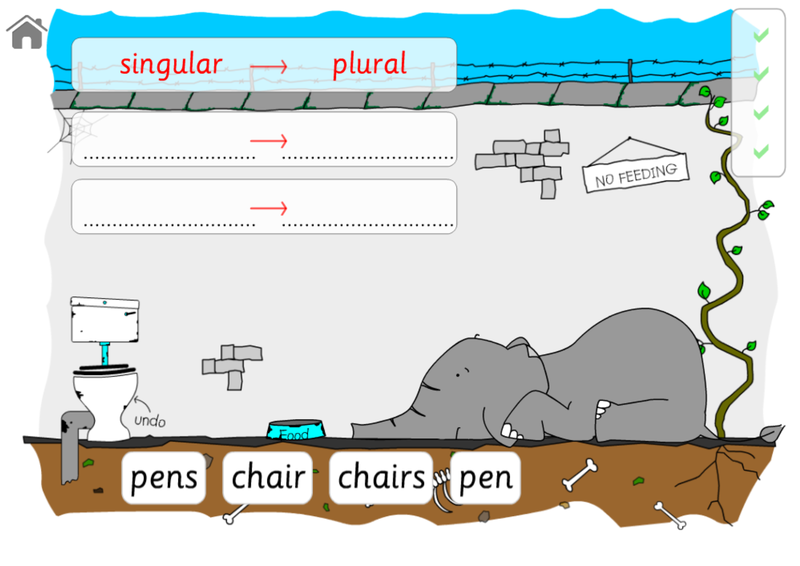 The singular plural game will detect when all the answers have been given and will mark them for you. If you have successfully sorted the words into singular and plural then you'll get a chance to put a present for Lucy into a present box. Choose between the two presents and drag and drop one of them into the box. If you didn't sort them correctly this time, don't worry, you'll have another chance to get them right. You can undo an answer at any point by clicking on the undo loo! 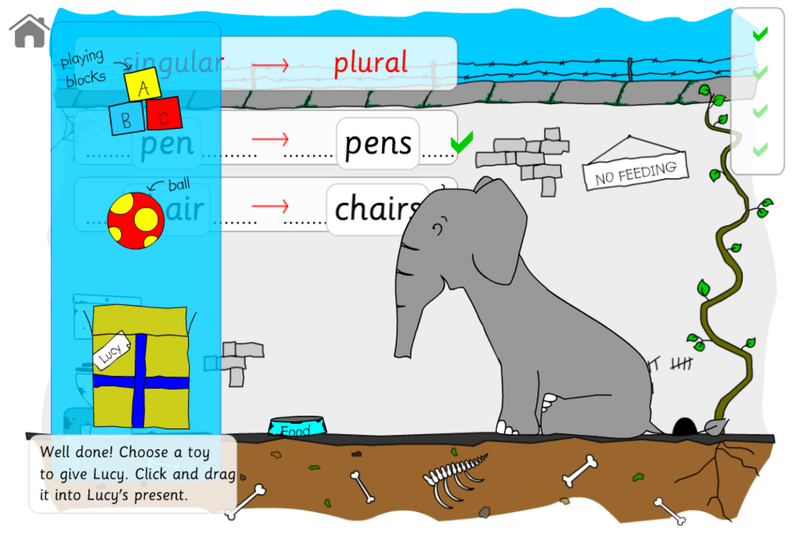 This reading game has an animated Lucy the elephant, add presents to Lucy's cell, sound effects and easy to use interface. 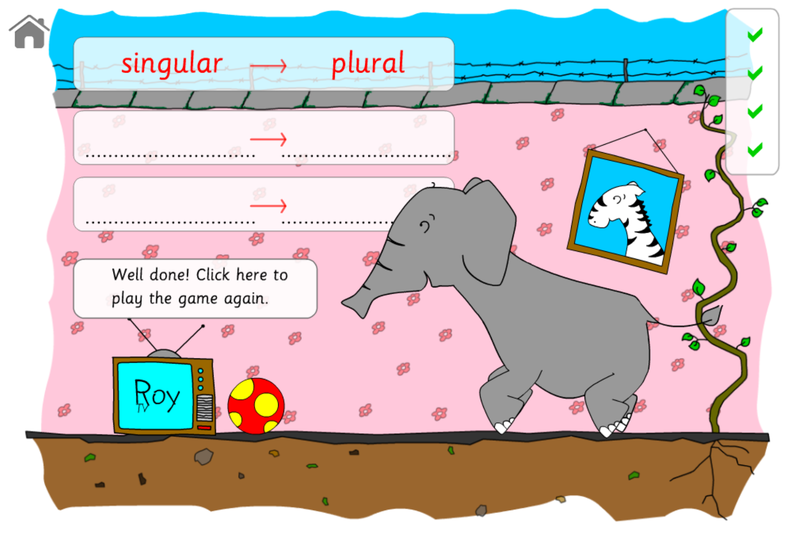 The singular plural game is compatible with iPad and Android tablets and also desktop and laptop computers. Ideal for using with an interactive whiteboard. We suggest you use an up-to-date browser, the following browsers work well with the game - Internet Explorer, Safari, Firefox and Chrome.